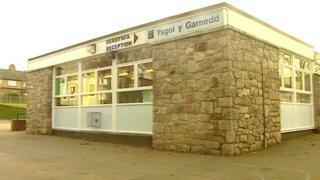 A £12.7m plan to tackle overcrowding in Bangor primary schools is set to be given the go-ahead. A review found Ysgol y Garnedd school was oversubscribed, with one governor saying pupils were packed into classes “like sardines”. Gwynedd council plans to build a new 420-capacity school to replace it and there will be space for pupils at Ysgol Babanod Coedmawr and Ysgol Glanadda as both will close on 31 August 2020. Its cabinet could approve plans later. A report before cabinet on Tuesday lists aims including addressing overcrowding, ensuring class sizes are appropriate and there are no more than 20 children of different ages in each class. The cabinet will also consider objections before making a decision, including concerns over traffic, pupils crossing busy roads and Welsh language-educated pupils being forced to attend a local English-medium school if Ysgol Glanadda closes. Cabinet member for education, Gareth Thomas, said the plan would ensure children are educated in “a learning environment fit for the 21st Century”. ← Children's services: What do we know about the children most in need?